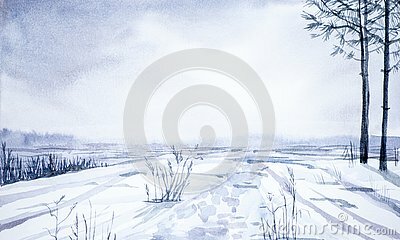 Winter landscape of forest and snowy field. Hand drawn watercolor illustration. painting landscape lonely dead tree in the winter season.